In most cases, back pain is caused by muscular imbalances in the pelvic region. More specifically, excessive sitting has caused tight and shortened hip flexors, which tighten your lower back too. This leads to weak and lengthened abdominal and gluteal muscles. So, to alleviate your pain, you should stretch the tight muscles and strengthen the weak ones. This brings more balance to the area and helps improve posture. 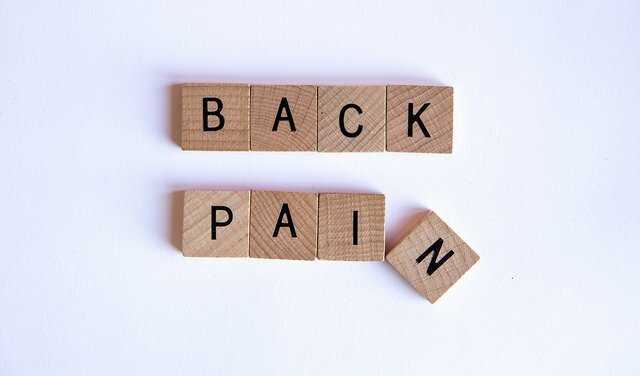 The same is said for upper back pain which is sometimes caused by tight chest muscles that pull the shoulders forward causing your upper back muscles to lengthen and be weak. Again, strengthen what’s weak and stretch what’s tight. Depending on the nature of your back pain, surgery could be the best option to relieve pain forever. If you have muscle problems that cause your pain, surgery isn’t going to be the solution for you. However, for disk or spinal issues, surgery is an excellent idea. There are many spine surgery methods that deal with the source of your pain and rectify it – hopefully, for good! This includes surgery where metal rods are inserted to straighten your spine if it’s too curved and causing too much pain. The best course of action would be to consult your doctor and ask about any surgical procedures that might benefit you. If they think surgery is needed to cure your daily back pain, then it’s well worth going through with it. Especially if you’ve tried everything else and you’re still in pain. If your back often feels tight and knotted, then you could do with some myofascial release to heal the pain. This is a massage method that focuses on muscle knots, or ‘trigger points’, and works them until they release and your muscles relax. It’s a great way to get almost instant relief from persistent back pain. You can enjoy this via a professional masseuse and make regular trips to keep your back pain-free. Or, you can buy things like foam rollers or massage balls to do it at home by yourself. A really simple way to cure your back pain is to sit less. I already mentioned how a lot of pain is caused by too much sitting. If you work an office job, then you’ll sit for hours then sit in your car and sit on the sofa. Stand up and go for a walk around the office or lie down on your back when you get home. Do anything that doesn’t involve you sitting for hours on end, and you’ll see drastic improvements. Always make sure you consult a medical professional if you have any back pain. Look for second and third opinions too, to be extra sure you know the cause of your problem. This will help you figure out which route is the best to go down for curing pain.